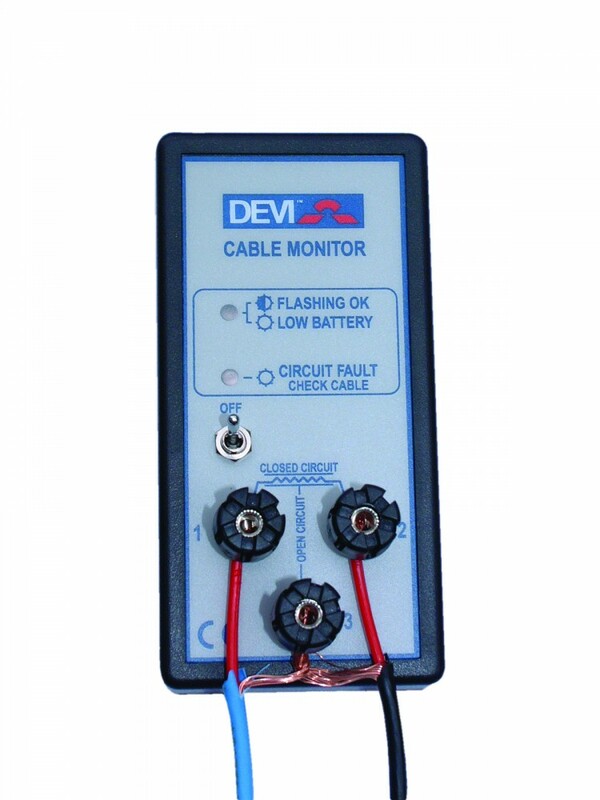 The DEVIguard Cable Monitor can be connected to the Devi underfloor heating systems during the installation to monitor the circuit. Accidents can happen and in the event that the heating cable is cut or damaged during installation, an audible alarm will sound. Installation can be stopped and the heating system repaired with a Repair Kit. This item requires a standard 9V battery, which is not supplied.